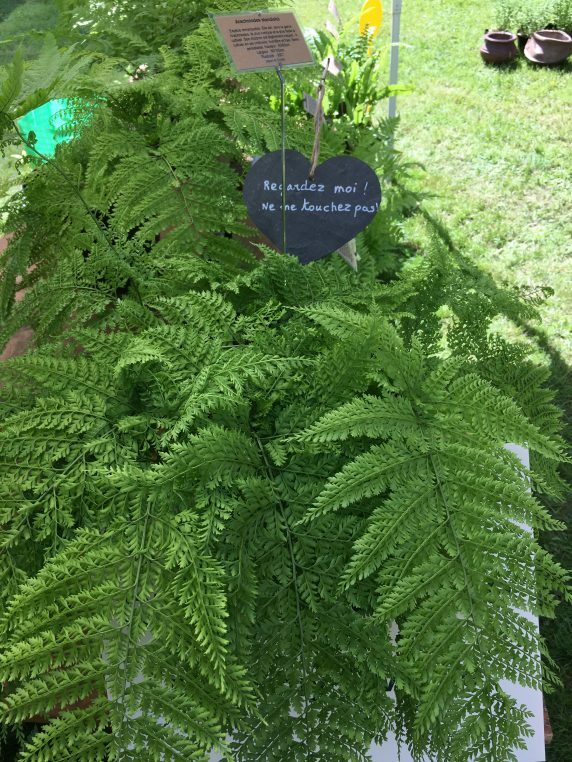 What I love about the Journées des Plantes de Chantilly (formerly Courson) is that authenticity and creativity always win. And for the third time a charming lady from Les Jardins d’Ecoute s’il pleut (gardens of listen if it rains!) near La Rochelle, won a prize for its very robust and yet thinly sculpted Arachniodes standishii, a very special fern. 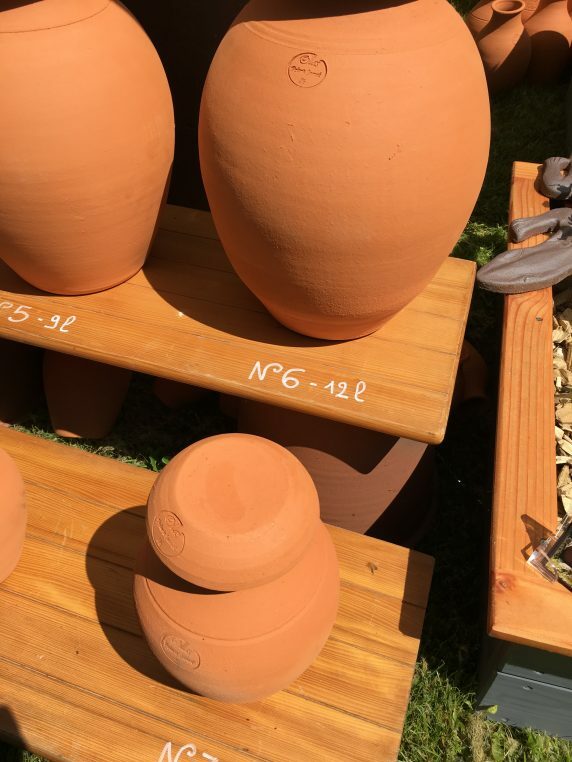 A genius potter Jamet, near Le Mans, won a prize for his watering pots which diffuse water while you are on holiday. 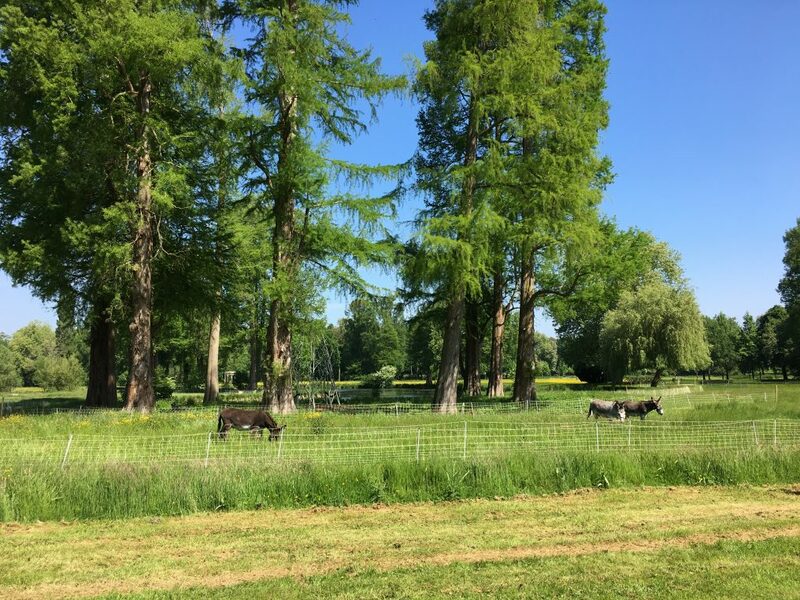 And they are particularly pretty… And Danish artist Heinrich Braun exhibited for the first time his sculpted willows at Baugaarden. 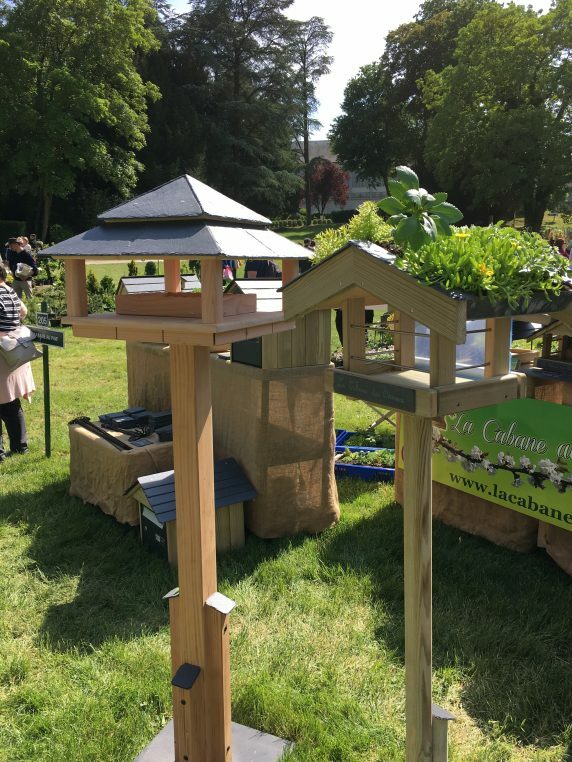 But mostly the sun never left the beautiful park of Chantilly for three days and a record 33 000 visitors attended the garden show. 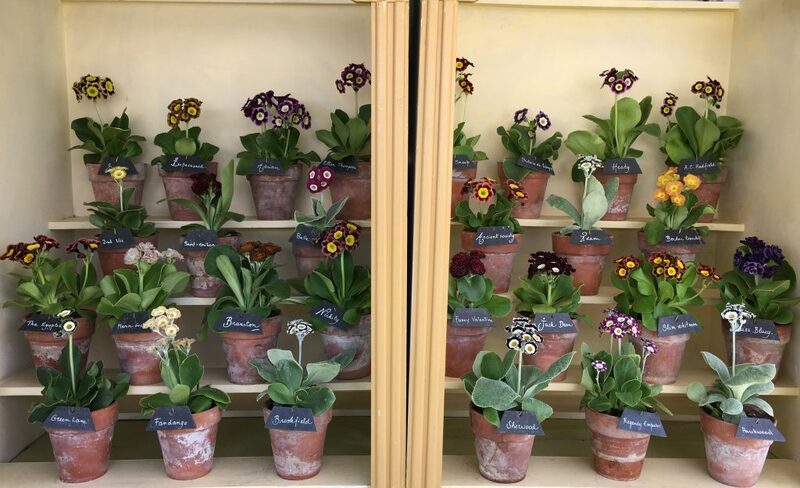 You can spend a day at Chantilly and leave with a 3 € plant and feel happy. Some people of course spend 50 000 € creating a whole garden because the best specialists are present and everyone is here to help. In the Spring, roses are the great stars with rhododendrons, peonies and geraniums. But I fell for the Lychnis “Hill grounds”, a tall purple pink flower created by Meers Vaste Plantenkwekerj and the rhododendron Yakushimanum in different tones of pinks by Pépinières du Portail enchanté, both Belgian. 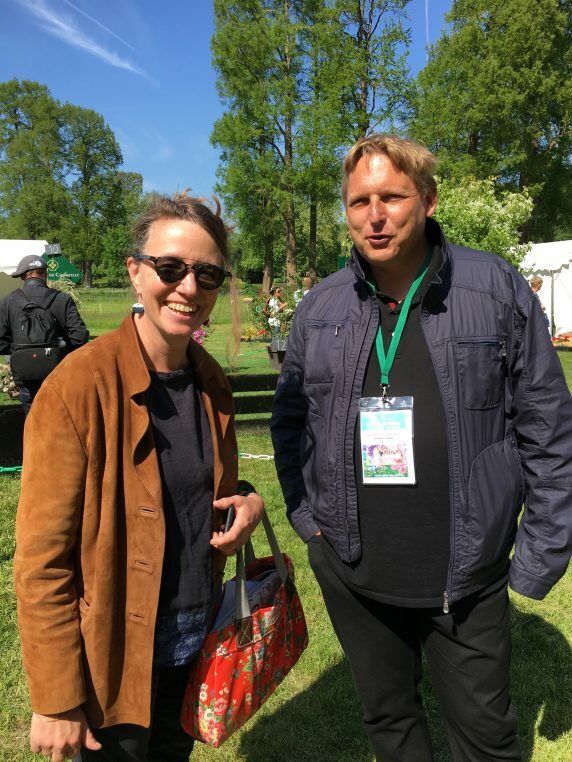 What is most interesting is to discuss with the members of the jury, high class botanists who have come from Belgium, Great Britain, Denmark, Portugal, Germany and Holland and from all over France. I was lucky to sit at dinner next to Frédéric Pautz who runs the Botanical gardens of Nancy and he explained how qualitative all the stands are. he has collected plants in eighty countries! 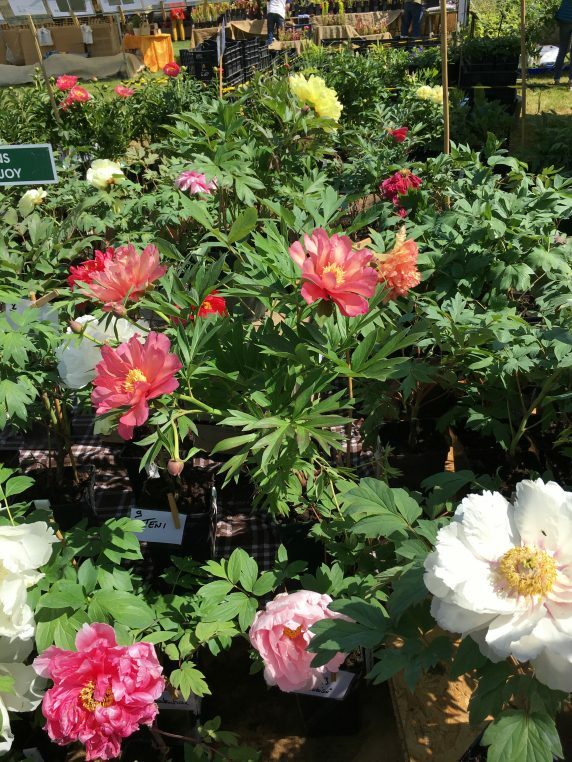 These scientists who have travelled the world, discover new plants every season at Chantilly and their eyes glitter with excitement. Ollas irrigation pots are a great find! Once they are filled with water and buried in the ground, they irrigate your garden for up to two weeks. The Orticolario festival takes place in early October in Como, Italy, and they were showing a musical room made of sage to attract visitors. Electric captors were using the plant to create sounds! 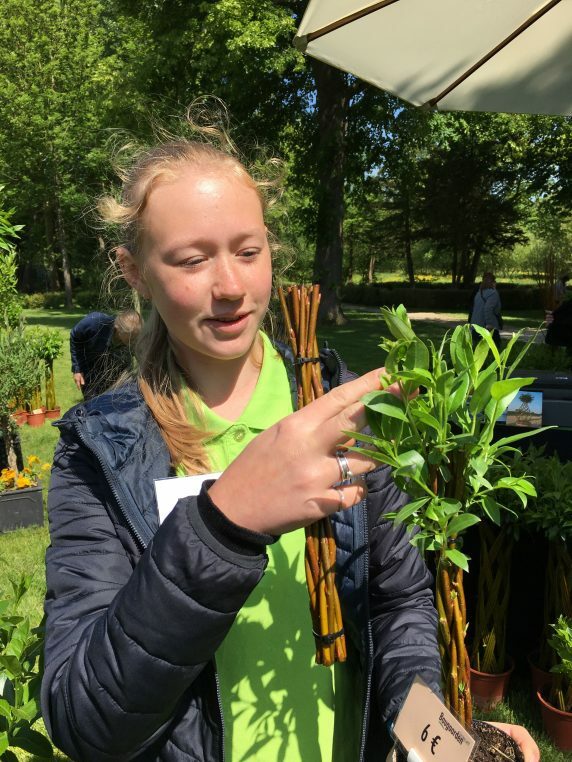 Young Miss Braun from Baugaarden, Copenhagen, was selling beautiful sculptures made of live willows to Prince Amyn Aga Khan and Loubert had a fantastic collection of roses. I discovered at Jardin des Senteurs et des saveurs, the Mertensia Maritima, a plant with leaves that taste of oyster! It flowers from May to October and is used in cooking, on toasts or as seasoning. It is irresistible and can sustain – 30 centigrades in winter. The thirty six thousand visitors were all smiling and took advantage of the free visit of the castle to discover Duc d’Aumale’s exceptional collection of drawings by Rembrandt. Donkeys were braying in the background and Chantilly cream was being served everywhere. This edition of the Journées des Plantes was particularly successful with the attendance of the whole staff from Chantilly, helping visitors and exponents alike, and one is now anxiously waiting for Henri Loyrette’s exhibition, “Painting the races” which will open mid June in the Jeu de Paume for the to week ends of races, Prix de Diane and Prix du Jockey club. 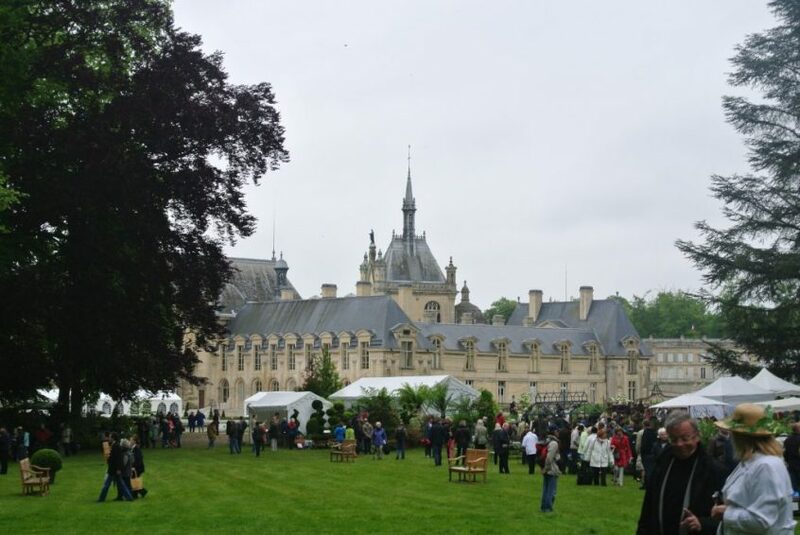 There is always something fun to do in Chantilly! From June 16 th, “Painting the races” by Stubbs, Géricault and Degas. Mmmm. I love peonies of every kind. Thanks Laure. Great Laure !! !you have a good eye !